Want to see all the technologies used by dafiti.com.br? Dafiti is a footwear and fashion eCommerce. 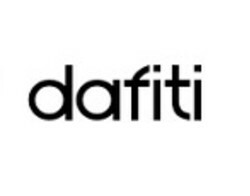 Online since January 2011, Dafiti already has the highest growth among the e-commerce fashion operators in Brazil. It is only fair to invite everyone to enjoy with us. We are a young company made by young people and passionate about what they do. We want to bring style to as many people as possible. We do this by combining fashion technology. Today, we can reach thousands of people in five countries: Brazil, Argentina, Mexico, Colombia and Chile. For a quick look at additional technographic info on dafiti.com.br or any domain on the web, download our Chrome Extension. Check out our help article to see how Datanyze Insider can help you.